FRESNO, Calif. (KFSN) -- Authorities in the South Valley are investigating a deadly stabbing. Tulare County sheriff's deputies were called to Alta Drive near Avenue 406 in Cutler around 11:30 p.m. Saturday. They found a male victim unconscious and suffering from multiple stab wounds. He later died at the hospital. A female victim who was stabbed in the hand pointed out the suspect. 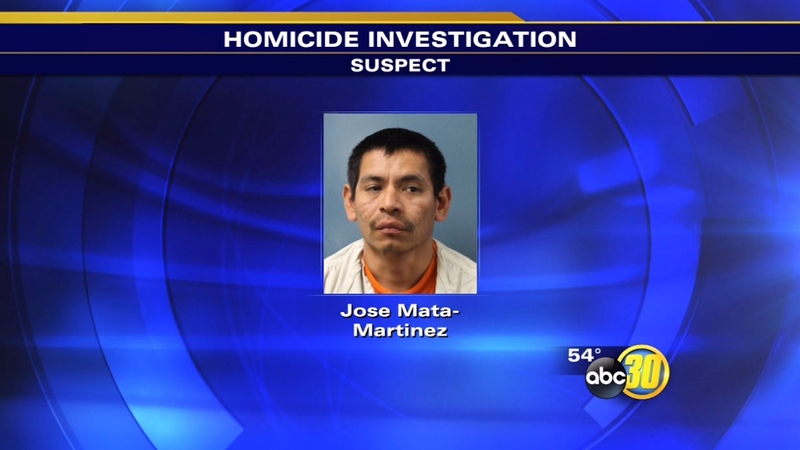 Deputies found Jose Mata-Martinez, 27, still hiding at the scene. He was booked into jail on murder charges. The motive is still under investigation. Anyone with information on this case is asked to contact the Tulare County Sheriff's Office at (559) 725-4194.